As I listened to Elissa Ellis-Sangster (Executive Director of the Forté Foundation) give the opening speech of the Forté MBA Women's Leadership Conference at UCLA last summer, I was immediately inspired to do more. She mentioned that as a Forté Foundation Fellow that each one of us has an opportunity and an obligation to help other women succeed. All my life I have been fortunate to have mentors supporting me and encouraging me, and with Elissa’s enthusiasm, I knew it was in the right time and place to give back. In my application to the Tepper School of Business, I wrote, “As a leader in technology I will contribute my knowledge, experiences, and energy to motivate women like myself to become leaders in the industry as well.” I didn’t know that so soon after I started business school that I would have an opportunity to start working on my goal. From that day on I had a plan, and, more importantly, I knew that I had a whole organization that would support my plan. Empowering women in technology and business was a goal not only I was passionate about. It was a common goal with the Forté Foundation, and together we could meet it. This past winter I reached out to Women in Computer Science (WCS) at University of Illinois and offered to give a workshop. The group was extremely receptive and asked if I could give a workshop on how to give an elevator pitch. Once I had solidified the presentation, I reached out to the Forté Foundation to see if they could provide materials and souvenirs for event. They were delighted to help! 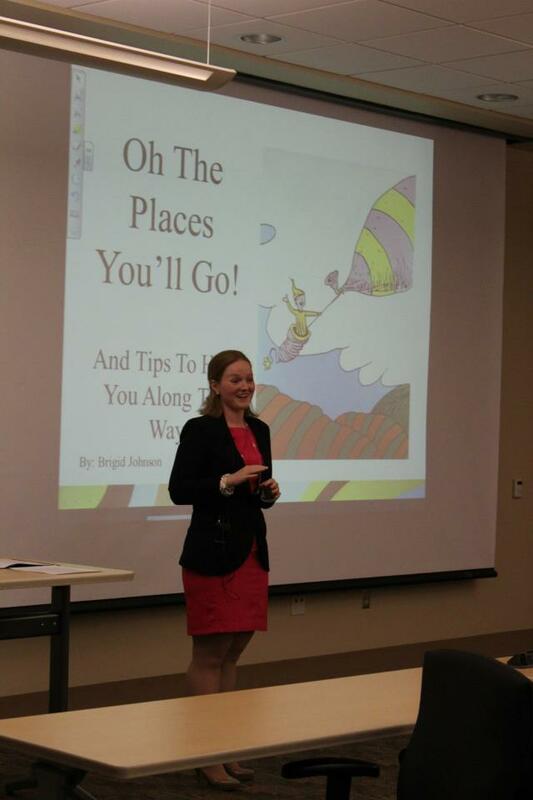 In March, I visited University of Illinois and presented a successful workshop. It was amazing to watch freshmen through seniors get up and practice their elevator pitches. I met a lot of fantastic women in computer science who are definitely future leaders. I was fortunate to be able to help these women gain skills to help them be more confident as they search for jobs and internships. After my speech many of the attendants came up to me to mention how inspired they were. Three women said that I was their role model. This event was life changing for me. Being able to directly inspire other women who are going through the same rigorous program I did was incredible. 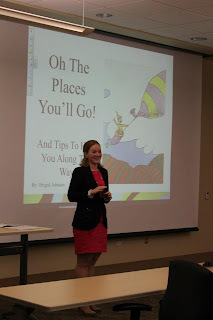 I was able to build many connections with aspiring women through my talks with WCS. I helped individuals with their resume and facilitated an internship decision. I can’t wait to see their accomplishments as they grow throughout their careers. As I look onto my second year as a MBA student, I know I can do more. I hope to return to the University of Illinois and WCS and give additional workshops and also reach out to more schools. By becoming a Forté Fellow, I have discovered a new appreciation for paying it forward and working towards the mission that the foundation has laid out for all women in business. I am truly grateful for this opportunity.